Investor sentiments in the Indian equity market firmed up on Friday with the NSE Nifty50 ending at a record closing level, following broadly positive cues in the global markets. Index-wise, the Nifty50 on the National Stock Exchange closed at 11,470.75 points, up 85.70 points or 0.75 per cent from its previous close. The S&P BSE Sensex, which had opened at 37,898.60 points, closed at 37,947.88 points, up 284.32 points or 0.75 per cent from previous close of 37,663.56 points. It touched an intra-day high of 38,022.32 points and a low of 37,840.16. In the broader markets, the S&P BSE Mid-cap rose by 0.88 per cent and the S&P BSE Small-cap ended higher by 0.94 per cent from the previous close. The BSE market breadth was bullish with 1,629 advances and 1,076 declines. “The gains came on the back of positive Asian markets as investors seemed to cheer Washington and Beijing’s decision to hold trade talks next week,” said Deepak Jasani, Head of Retail Research, HDFC Securities. Investment-wise, provisional data with exchanges showed that foreign institutional investors bought scrip worth Rs 147.31 crore and the domestic institutional investors purchased stocks worth Rs 151.89 crore. Sector-wise, the S&P BSE Banking index rose 398.95 points, FMCG index was up 219.19 points and the metal index ended higher 216.43 points from its previous close. In contrast, the S&P BSE oil and gas index was the only losing index with a decline of 22.55 points. In a major development, share price of FMCG major ITC on the BSE touched a 52-week high of Rs 315.20 on Friday. It settled at Rs 313.75 per share, higher Rs 6.95 or 2.27 per cent from the previous close. 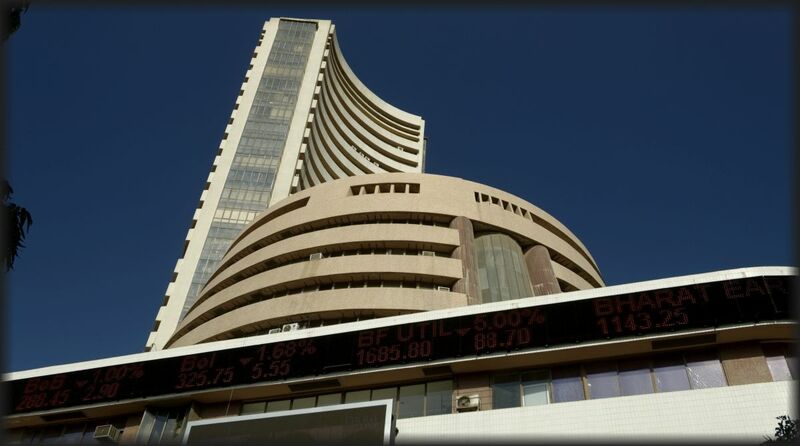 The major gainers on the Sensex were Yes Bank, up 3.76 per cent at Rs 392.95; State Bank of India, up 3.18 per cent at Rs 302; Vedanta, up 3.09 per cent at Rs 215; Hindustan Uniliver, up 2.63 at Rs 1,780.80; and Tata Motors, up 2.47 per cent at Rs 257.35 per share. The major losers were Hero Motocorp, down 1.14 per cent at Rs 3,248.60; ONGC, down 0.61 per cent at Rs 163.10; Maruti Suzuki, down 0.58 per cent at Rs 9,148.30; Coal India, down 0.44 per cent at Rs 281.20; and HDFC, down 0.39 per cent at Rs 1,883.60 per share.